Samsung has launched a new smartphone to target the entry-level market in India today. The Galaxy J2 (2018), which launched earlier this year as the Galaxy J2 Pro (2018) in Vietnam, is set to go on sale in India starting tomorrow, April 27, with a price tag of Rs. 8,190. Despite the removal of the Pro tag from the phone’s name, the Indian version of the 2018 Galaxy J2 is better equipped in one key area: It has 2GB of RAM as opposed to 1.5GB of RAM on the J2 Pro (2018). 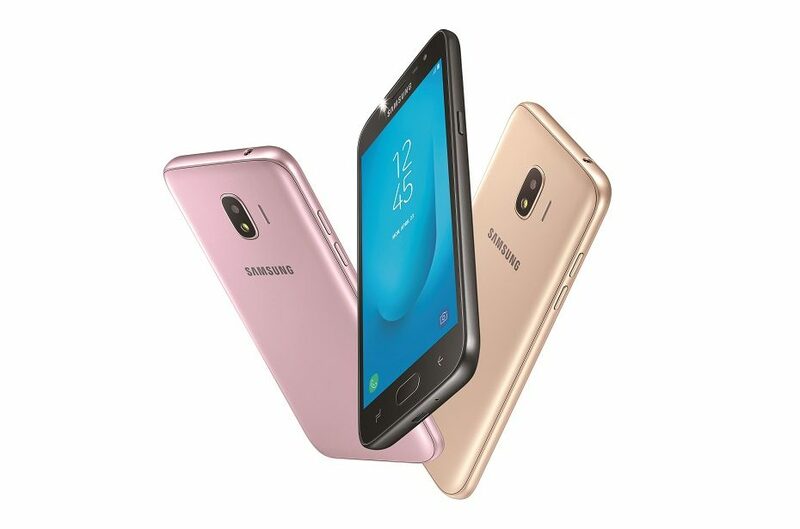 The Galaxy J2 (2018)’s focus, according to the company, is on online shopping and social media, two things young consumers are doing more and more these days. For the shopping part, the phone comes loaded with Samsung Mall, an India-exclusive app that Samsung recently launched to enable users to find new products through visual search (by using the camera for shooting pictures of a related product) and buying products from various online stores from a single location. For the social media aspect, Samsung says the phone allows users to move data to the external memory. We’re not sure how that helps social media fanatics, but the company says it’s a proprietary feature, so we’re guessing it does more than just move installed apps to the external storage. The specs of the Galaxy J2 (2018) include a 5-inch qHD (960×540 pixels) Super AMOLED display, a quad-core Snapdragon processor clocked at 1.4GHz, 2GB of RAM, an 8-megapixel rear camera, a 5-megapixel front-facing camera, a microSD slot, and a 2,600 mAh battery. Samsung doesn’t say what Android version is on-board, but our bet is on Android 7.0 Nougat as this is a device that was already launched elsewhere instead of being a completely new offering. The Galaxy J2 (2018) will be available in gold, black, and pink, and those on the Jio network will receive a Rs. 2,750 cashback in their My Jio account on a recharge of the Rs. 198 or Rs. 299 data plans, along with 10GB of extra data on 10 subsequent recharges. 5-inch display? What is this?? A SMARTPHONE FOR ANTS?! 5 inch size is the best size in my opinion.my Galaxy S7 is 5.1 inch size.